Development: Story selection and rights acquired; idea being crafted into usable script; financing and casting attachments sought; aiming for 'greenlight'. Jonathan Kasdan, son of Raiders of the Lost Ark scribe Lawrence Kasdan, will work on a new draft of the screenplay. Famed archaeologist and explorer Indiana Jones returns in a fifth movie. Indiana Jones 5 release date is set for Friday, July 9, 2021. This will be a Nationwide in theaters release. Steven Spielberg wants Chris Pratt to anchor the rebirth of Indiana Jones (Variety, 2/20/15). At the British Academy Britannia Awards, Steven Spielberg teased, “I can’t wait to work with you [Harrison Ford] again on Indiana Jones 5. This is NO announcement, just my fervent hope,” he said (AwardsLine, 10/31/15). 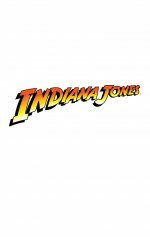 As stated in the release date announcement (3/15/16), "Indiana Jones is one of the greatest heroes in cinematic history, and we can’t wait to bring him back to the screen in 2019," said Alan Horn, Chairman, The Walt Disney Studios. "It’s rare to have such a perfect combination of director, producers, actor and role, and we couldn’t be more excited to embark on this adventure with Harrison and Steven." Deadline (3/15/16) is told that George Lucas is not involved.